Sshh! Quiet or it’ll hear you. 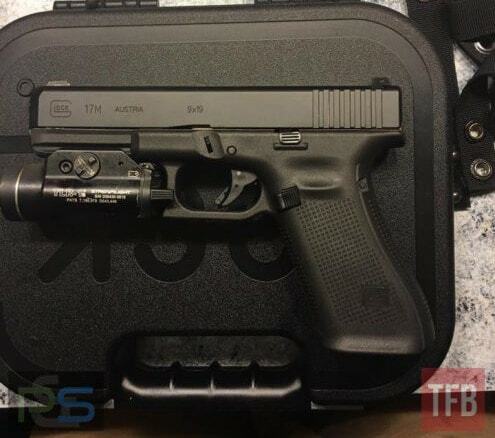 Images of a new Glock pistol surfaced Tuesday that show an updated version of the venerable 9mm design. The photo shows a “Glock 17M” and was shared with The Firearm Blog by an officer with the Indianapolis Metro Police Department, the website says. TFB also lists a number of new features — internal and external — on the design. However, Glock has not released information about the pistol. The 9mm Glock pistol has a number of iterations, starting with the Glock 17 in the early 1980s. It was the first polymer-framed handgun to receive mainstream success and has become one of the most ubiquitous designs with more than 5 million in circulation.